The Mongolian Desert has been known for decades for its amazing array of dinosaurs, immaculately preserved in incredible detail and in associations that give exceedingly rare glimpses at behavior in the fossil record. New remains from this region suggest an entirely unknown behavior for bird-like dinosaurs about 70 million years ago. At least some dinosaurs likely roosted together to sleep, quite possibly as a family, much like many modern birds do today. Gregory Funston, Ph.D. Candidate at the University ofAlberta, will present the team's research findings at the annual meeting of the Society of Vertebrate Paleontology, held this year in Calgary, Alberta (Canada) on Friday, Aug.25th. 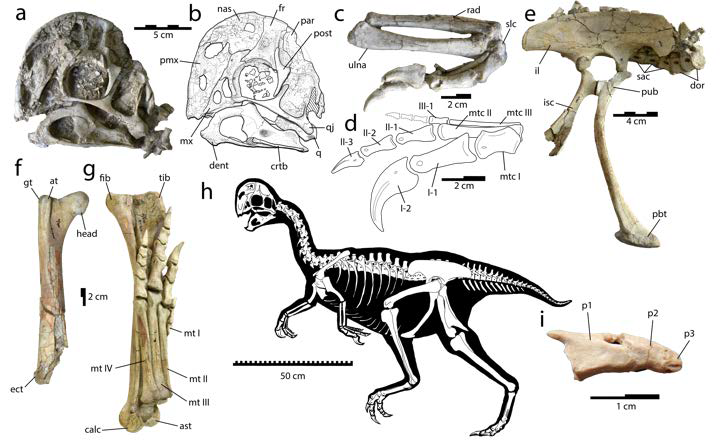 This new evidence for dinosaur roosting stems from a confiscated fossil block that was illegally exported from Mongolia, which preserved the amazing remains of three juvenile dinosaurs known as oviraptorids (part of the bird line of dinosaur evolution). 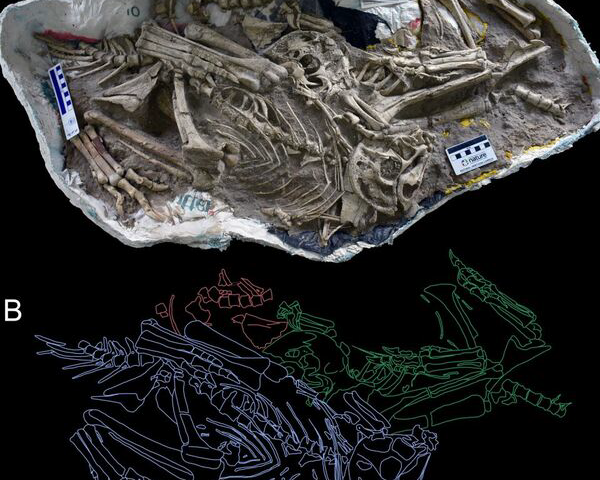 These three dinosaurs represent the same species that were roughly the same age, preserved in a sleeping posture, so close to each other that they would have been touching in life. Known as "communal roosting", this behavior is seen in many birds today including chickens and pigeons. The specimen luckily made its way into the hands of researchers currently led by Gregory Funston of the University of Alberta, along with his advisor Dr. Philip Currie (also of the University of Alberta) and the Institute of Paleontology and Geology of Mongolia (based in Ulaanbaatar). Regarding the finding, Funston said, "It's a fantastic specimen. It's rare to find a skeleton preserved in life position, so having two complete individuals and parts of a third is really incredible". The three juvenile oviraptors had several features that indicated they belonged to a whole new species. Other fossils found in Mongolia also seem to belong to this newspecies, and further flesh out the life history of these animals. The notable head crest is present even at a young age, but the dinosaurs would have had gradually shorter tails as they aged, and some of their bones fused across their lifetime. Their head crests and tails have been argued to represent sexual display features used in mating, somewhat similar to modern peacocks or turkeys. Funston added "The origins of communal roosting in birds are still debated, so this specimen will provide valuable information on roosting habits in bird-line theropods".